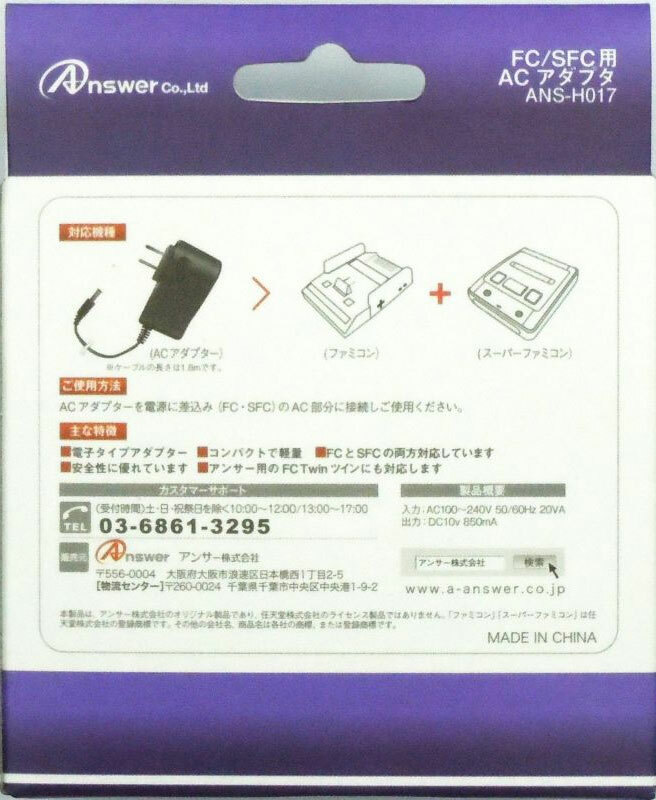 Famicom and Super Famicom replacement Japanese AC adaptor for those with a step down who just want to plug in and play their Famicom and Super Famicom. 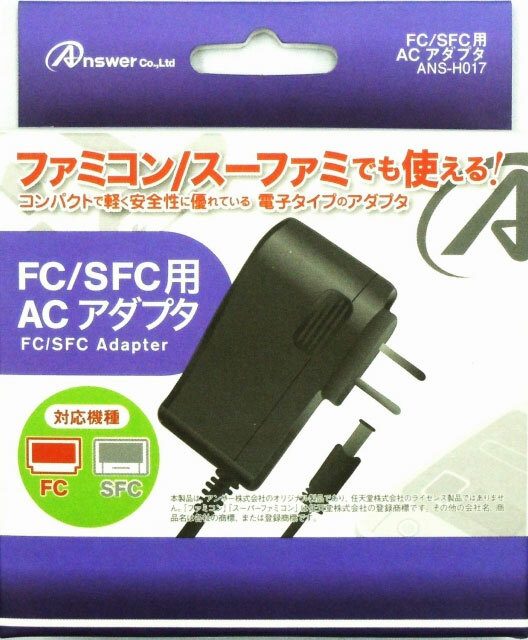 Handy considering the Super Famicom never came with a power supply due to the success of the compatible Famicom power cord. Lightweight and compact, similar to a phone charger. Brand new. 1.8 metre cable. Can also be used with the Answer produced FC Twin. Input 100v 50/60Htz 20VA. Output DC10V 850mA.